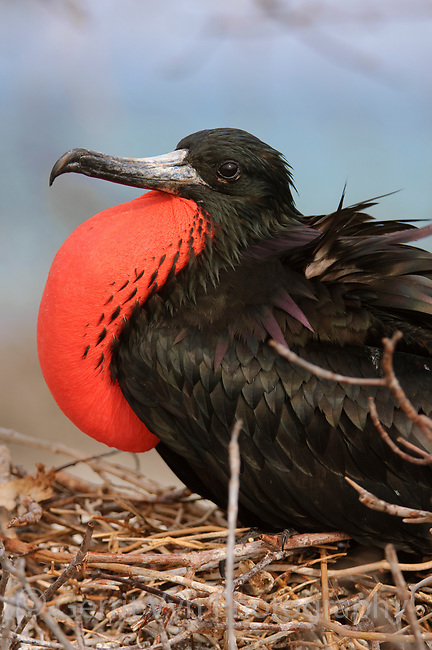 Dispalying adult male Magnificent Frigatebird (Fregata magnificens) with inflated gular sac. Dry Tortugas National Park, Florida. March.